So there's three Punisher movies, this one being the latest. First Dolph Lundgren was Frank Castle back in 1989, then it was Thomas Jane against John Travolta and here we have Ray Stevenson in the Castle saddle, and it works better than ever. It is a Lionsgate film, and that shows from the gritty reboot of the series. Punisher is way more destructive and binary thinking than in the 2004 movie, which I like a lot. And more importantly some of all the dump whit humor has been left out, and instead a massive focus on violent action is undertaken. Dominic West does well as Jigsaw, but some times it gets a bit one sided acting, meaning a character that could offer more nuances just runs in one single track, and also the heavy irish'ish accent fits badly at times. I'm not sure, but as far as I noticed the director Lexi Alexander sometimes tried to frame the images of the movie a bit like a comic, like for instance setting a scene a graveyard with a static shot of tombstone from a frog perspective and then let Castle enter the still static shot. I liked that. It was not all in like Ang Lee did in Hulk back in 2003 though, which worked great too. The movie features a metal/electronic sound track with Rob Zombie, Slipknot, Rise Against, Pendulum, Hatebreed, Static-X and many more. Being a metal head, that's great stuff, and I think other people will find the genre a perfect match for the movie. Just to clear it up, I have not read the comics. This is not a sequel to the movie The Punisher. The background is different, it is different actors and the plot is only related through the action. 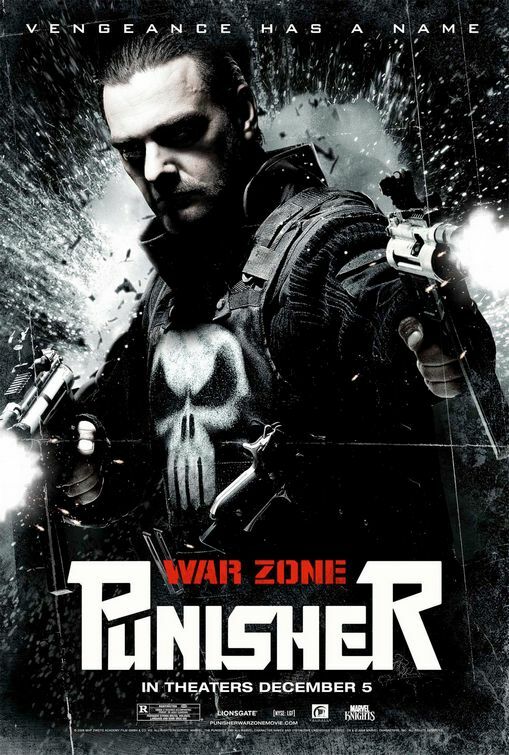 As I really like the first Punisher movie, I was a bit disappointed by this, but none the less, it is still good action.